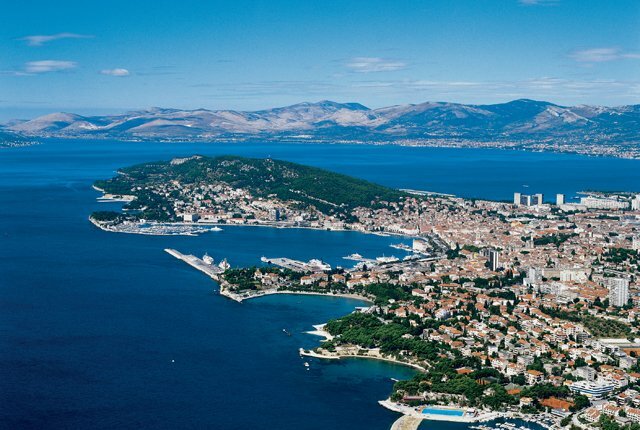 Split Accommodation Split is Croatia's second-largest city and offers visitors cultural, culinary and natural delights. The Radisson Blu Resort is only a few metres from the beach and 2.5 km from Split's old town with the UNESCO-protected Diocletian's Palace. It provides free Wi-Fi. Most rooms include a balcony with views over the islands of Brac and Solta. All rooms are fitted with air conditioning.